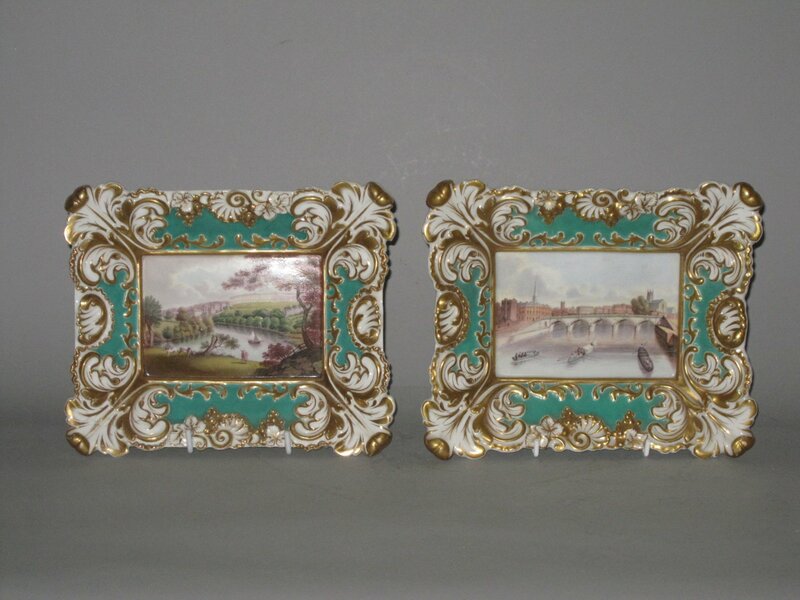 A RARE PAIR OF GRAINGERS WORCESTER PORCELAIN PLAQUES, CIRCA 1825-1830. Each moulded in the form of an oil painting within a gilt frame. Finely painted with English scenes, one named "Worcester" on reverse, the other depicting Royal Crescent Bath. The painted panels are set within a gilt "frame" upon a pale green ground.